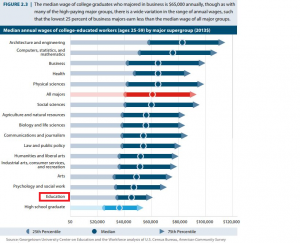 A new study out of Georgetown University’s Center on Education and the Workforce puts a price tag on the worth of college majors: Over a full career, the difference between the lowest and the highest paying majors can total $3.4 million. 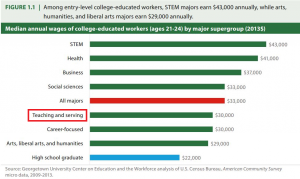 Not only do education majors have very low starting salaries, but they also cannot expect much in the way of raises across their careers. 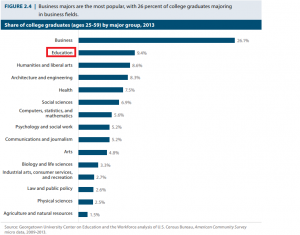 Education majors have the flattest wage growth of any group. 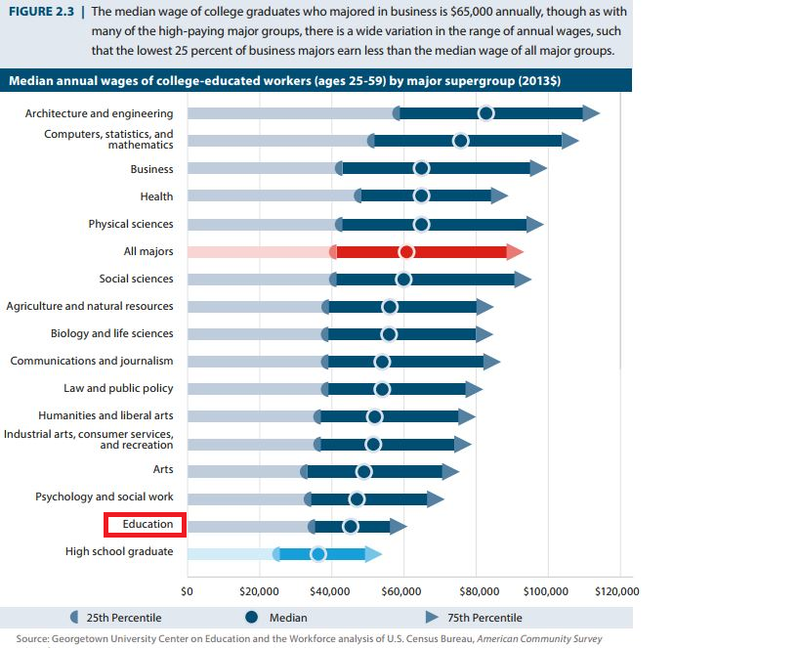 At the 25th percentile, education majors earn $35,000 annually, but the 75th percentile earns only $59,000, a difference of only $24,000. When policymakers talk about teacher compensation, they often take an “either/or” approach. Either raise starting salaries or find a way to differentiate pay over the course of teachers’ careers. This study shows that perhaps the story involves thinking about both at the same time. As I’ve written before, when districts consider teacher compensation redesign, they’re often grappling with these two issues in addition to a plethora of others including teacher effectiveness, the speed of teachers’ salary growth, and incentives for effective teachers to teach in hard-to-staff schools. 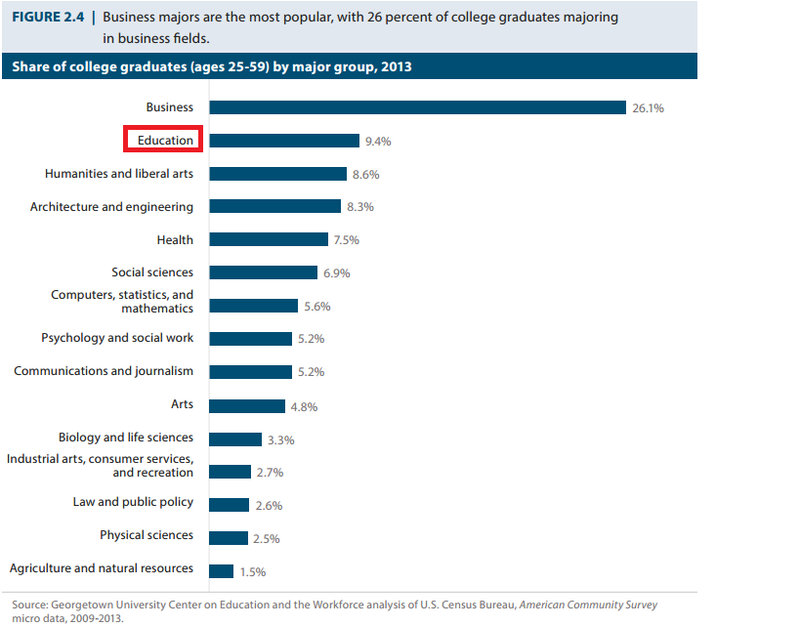 When it comes to teacher compensation, districts should pursue a comprehensive approach to attract high-quality candidates to the education field.